For the December Talking Points, we interviewed Masuko Miyahara, who recently published a book called Emerging Self-Identities and Emotion in Foreign Language Learning: A Narrative Approach (2015). Masuko, herself, was educated in the UK, the US and Japan, so she offers a unique perspective on language learning and development. We asked her a few questions about her research for this book. Naomi: First of all, could you tell us about your study – what you set out to learn, and how you did it? Masuko: Through informal conversations with the students in my research context who were struggling to get through their first-year English course in this intense academic English language program, I noticed that the difficulty was not only to do with language, but was also connected to their sense of self. This prompted me to wonder what two main things: what kind of identities (Miyahara 2014, 2015) they develop, and how, why, and in what contexts they construct their identities. Another point that struck me was how emotional these students reacted to ‘English’ and learning English. For instance, they would often say, ‘Eigo kirai’ (dislike English), ‘Koukou no Eigo no sensei ga kiraidatta’ (disliked their English teacher at high school). I am sure many teachers have heard these comments from their students at one point or another. This led me to wonder if any links (and what kind of links) could exist between ‘emotions’, per se, and identity construction or development. Jim: I can identify with that – even now looking back at school, I tend to relate my success or otherwise with feelings for teachers – for example, I really liked my French and Physics teachers, and ‘hated’ my maths teacher. But there’s much more to this than just feelings, isn’t there? Masuko: That’s right. I was interested in not only what kind of identities they develop, but how the affective dimensions of learning a language are implicated in the process. This required me to examine the learning experiences of the students; in particular, I was interested in the stories that the students tell me. My research necessitated me to take a participant-relevant perspective, and taking a narrative approach (Miyahara 2015) was a natural way to proceed. Naomi: Could you tell us a little about one or two of the narratives you collected? What did you learn from the students you interviewed? 3) learners who were limited in creating images of themselves as language users. I found that students who could see themselves as language users or envision themselves as future language users (as opposed to viewing English as a school subject), were more interested in studying English. Jim: So you were not just identifying a state – where these learners were – but also of how learners in these states were susceptible to change in a new environment. Masuko: That’s right. Learners in the first pattern already have a clear vision of their future selves using English. In their new bilingual college environment, it appears that their new learning experiences interacted with their previous learning experiences, which, in turn, reinforced, enhanced and or maintained the learners visions of their future selves. Learners in the second and the third patterns do not yet have a clear image of their future selves prior to entering their new bilingual learning context. However, while learners in the second pattern were able to generate images of themselves in response to their new language learning environment, for the learners in the third pattern, the visions of their future selves were minimized, and appear to have functioned only to support a different, more dominant self. Naomi: Right, so students who fall into pattern 1 see themselves as future English users even before entering university. Masuko: Yes, that’s right. Let me talk about this in a bit more detail by looking at the second and third pattern participants. My participants in pattern 2 with a history of learning English in childhood, were apparently helped by this experience in forming their identities as L2 users. Prior to entering college, English was learned mainly in the context of formal schooling, where learners’ views about English were more as a school subject or for exams. However, the English mediated college environment revived their awareness of English as a means of communication as they learned the language through using it. Learners’ perceptions of the target language changed as they had more opportunities to interact with others in the language being learned. This enabled them to develop more readily a sense of their English using selves and to find the link between the real world and their learning. On the other hand, with the participants represented in the last pattern, their visions of their future self as language users is minimized to the point that the learners are not able to form clear visions of their future selves. Learning the target language by using it in a meaningful manner in their new college environment raised their awareness of English as a tool for communication and increased their sense of an English using self to a certain extent, but it was nevertheless not enough to influence their capacity to visualize their future language users. This leads me to suggest that there may be a threshold in learners’ capacity to generate or form substantial images of their future selves. Jim: So the learners in the third pattern are not able to see themselves as future English users? Masuko: Well, foreign language learners all do, at one time or another, have visions of their successful English using selves, but the extent to which they develop images of their future selves that they believe in may be largely influenced by the extent and nature of their previous language learning histories. Of course, this does not mean that my participants in the third group do not have the capacity to develop images of their future selves. In fact, if we were to follow these participants for an extended period of time, there is a strong possibility of the emergence of their future selves. However, we can say that childhood language education appears to facilitate the process of generating images of learners’ future selves more readily. Jim: Especially for those learners in patterns 2 and 3, how can we help them develop, or strengthen their dreams of becoming English users? Masuko: This is one of the never-ending challenges, especially in the so-called EFL environment. Here are some of my ideas, but they are not anything revolutionary or new. I think the point is how it is implemented and how we can maintain these projects. Encourage cafés or self-access centers, such as the SALC at Kanda University of International Studies in Chiba or the L-café at Okayama University, where students can interact with not only native speakers of English, but also, other nationalities in an ‘international’ / ‘global’ atmosphere. Create and encourage participation in study abroad programs. But there needs to be financial support from the university or the government to support the students. Create SA programs that may not be necessarily aimed at language learning, but something akin to service learning or volunteer work abroad in developing countries during long breaks such as during the summer. Of course, using technology, for instance, to share lectures/courses with other institutions around the world. Create courses or lesson plans that includes exchanges with other university overseas via email exchanges, skype, etc. Choose to deal with topics that involve global issues in the classroom. Again, these ideas are not new (and perhaps, not even creative), but it involves a lot of administrative challenges to maintain and keep the programs going, so to speak. Naomi: Thank you so much, Masuko. I think it makes it very clear when you divide your suggestions into institutional and individual levels. I am sure there are readers out there who may not have been aware of all the options available in their institutions or in their classrooms, so your insights are very helpful! Dornyei, Z. (2009). The L2 Motivational Self System. In Z. Dornyei and E. Ushioda (eds) Motivation, Language Identity and the L2 self. Multilingual Matters. Kanno, Y. and Norton, B. (2003). Imagined communities and educational possibilities. Journal of Language, Identity and Education. 2(4), 241-249. Miyahara, M. (2014). Emerging Self Identities of Second Language Learners. In Kata Csizer and Michael Magid (eds) The Impact of Self Concept on Language Learning. 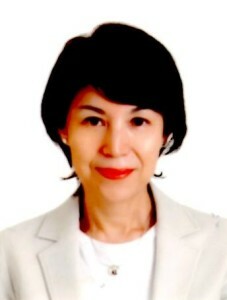 Miyahara, M. (2015). 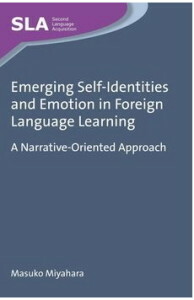 Emerging Self-Identities and Emotion in Foreign Language Learning: A Narrative-Oriented Approach. Multilingual Matters.